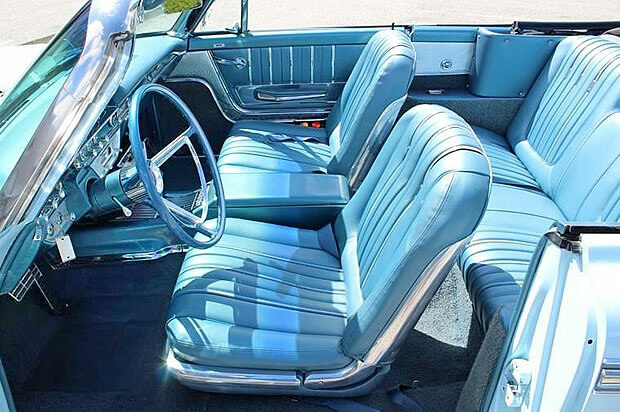 1962 saw a complete redesign of the full-size Ford's resulting in one of the cleanest looks yet. The model year start off with the standard Galaxie and the Galaxie 500 with the latter as the top of the line. The fresh and exciting look included new a new grille, bumpers, taillights (while retaining the now familiar round look), was almost slab-sided and the fins were now gone! 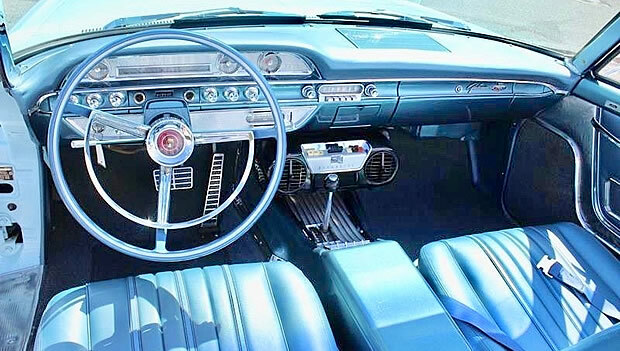 Introduced in February 1962, almost half way through the model year, there was a new model to take the crown - the Galaxie 500 XL. It was available as either a hardtop coupe (Club Victoria) or as a Sunliner Convertible as you see here. Aiming for the sporty look, the XL came with bucket seats, a center console, all-vinyl interior and special badging around the car. The aim was to have something to compete with the popular Chevrolet Impala SS. In the center you'll see the original dealer installed air conditioning that was fitted to this car.. 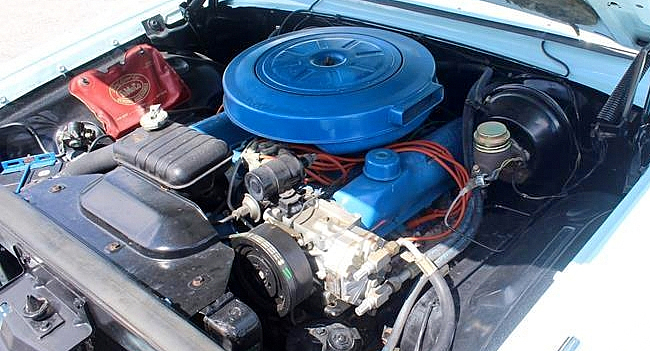 The Galaxie 500 XL came standard with a 292 V8 (170 hp) rather than the 223 cubic inch six-cylinder that formed the base for the other Galaxies. The original owner of this 500 XL decided to beef things up bit more and opted for the 352 cubic inch V8 that provided 220 horsepower. This would have cost an additional $52. Furthermore, they choose a Cruise-O-Matic automatic transmission to replace the standard 3-speed costing another $212. If you wanted a Galaxie 500 XL Sunliner back in 1962 they started at $3,358. Ford managed to sell 13,183 of them. I bought a 1962 Galaxie 500XL convertible new and it was Chestnut in color. I got the 405 /405 HP engine with four on the floor. Would pass anything except a gas station. 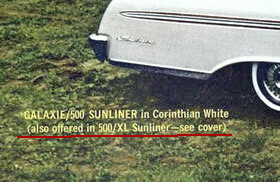 I don’t recall the name sunliner being mentioned or nowhere on the vehicle. Typicall got 7 miles per gallon on the highway. Well that’s because they are mistakenly calling this car a Sunliner. This is a Galaxie 500/XL. Sunliner was a separate name plate as the convertible in the Galaxie 500 line. 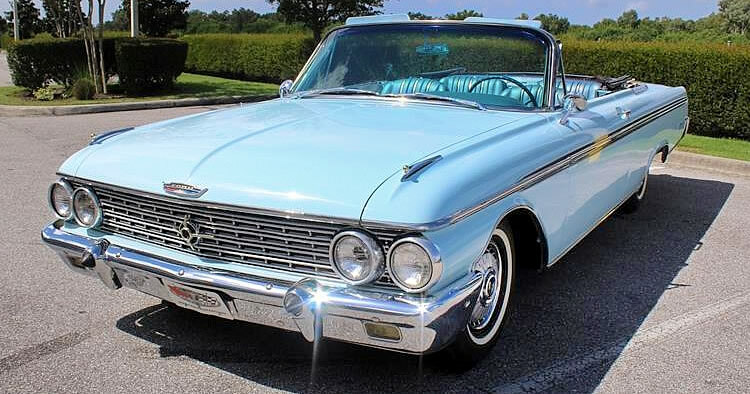 A Galaxie could be Sunliner, but a Sunliner could not be a Galaxie 500/XL. Hi Mark – thanks for your comment. However, I think we need to respectfully disagree. Here’s some extracts from the 1962 brochure.